The Shair Lab Research Group – The Shair Lab logo represents our combination of chemistry and human disease biology studies focused on developing new therapeutics. Welcome to the Shair Lab! 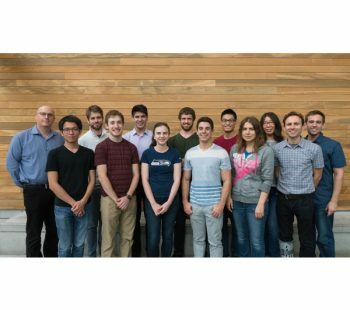 The Shair lab uses small molecules and cell biology as part of an integrated approach to study the mechanistic basis of human diseases, identify new druggable targets and develop therapeutics. Our research is highly interdisciplinary, with chemists and biologists working side-by-side. 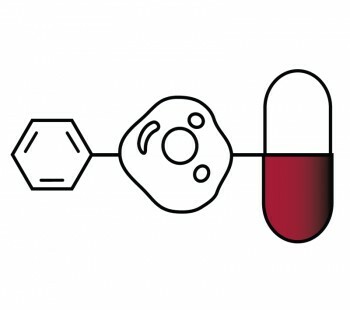 Chemists apply modern stereoselective synthesis to discover highly selective small molecules that target proteins involved in human disease. 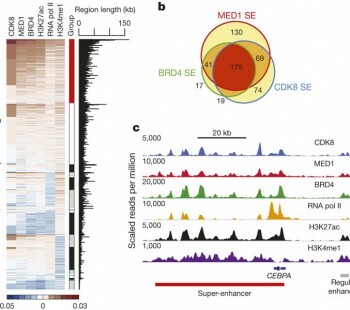 Biologists combine small molecules with genome-wide and proteome-wide studies, CRISPR-Cas9 genome editing and iPSCs and primary patient samples to investigate human disease. We invite you to explore our publications, including our recent study revealing a dependency of acute myeloid leukemia (AML) on CDK8/19 kinase activity. Using the small molecule CDK8/19 inhibitor cortistatin A, we discovered that AML cells depend on CDK8/19 activity to restrain transcription of cell identity genes.